Enter a solar system where you are an entire planet struggling to keep your races, technology —and even yourself —balanced. Thrive? Perish? Expand to the moon? The solar system is at your fingertips… if you can keep it together long enough to get there. 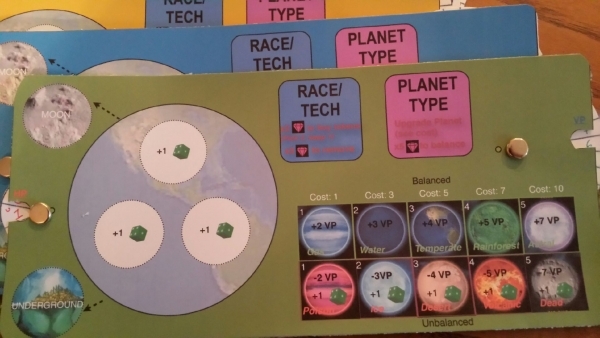 Play testing version 2.0 this summer! Enjoy this promotional video for version 1.0 from last year’s Canadian Board Game Design competition. Join the Madness on Facebook!